Lucas Hart gained a deep appreciation for conservation while spending countless days at “the cabin” in northern Minnesota where he fished, hunted and wandered in the woods. These experiences left an imprint on him that influenced his decision to change careers after completing his doctorate at the Medical College of Wisconsin. Instead of pursuing medical research, he found himself violently sea sick studying Pacific bluefin tuna at Hopkins Marine Station as an introduction to his new career path. 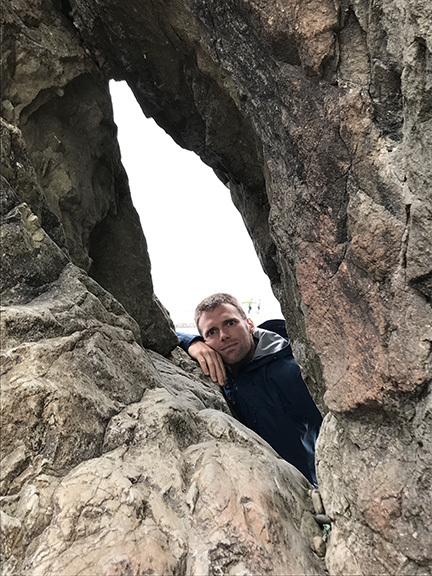 Since moving to Washington in 2009, Lucas has worked on the Wild Olympics Campaign, was a founding member of the Sierra Club North Olympic Group, and has volunteered with the Port Townsend Marine Science Center and Jefferson County Marine Resources Committee. He has spent his professional life as a research scientist in the Fish Health section of U.S. Geological Survey, as a program manager and currently Director of the Northwest Straits Commission, an organization dedicated to engaging local communities in marine and nearshore protection and restoration.